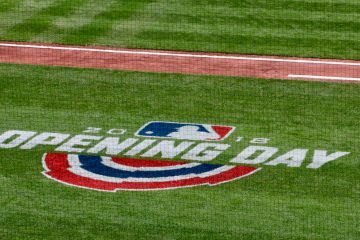 I bring tidings of great joy to those of you who thought this Reds season had become a long and bitter struggle to strand less than the population of Cincinnati on base: Our fair city has returned to Family Feud. Those of you old enough to share glorious memories of the Apex Age of Western Civilization (1981-1992, or one year past the general stench of the 70Ã¢â‚¬â„¢s and one day before grunge music showed up) will remember the week in March of 1989 when the Bengals played the 49ers in a rematch of the Super Bowl. I donÃ¢â‚¬â„¢t remember which team won the week; I do remember watching these episodes on a constant Betamax loop. My Bengals had lost the Super Bowl in one of the worst fashions possible, the Internet didnÃ¢â‚¬â„¢t exist for twelve year old girls who still had Cabbage Patch dolls, and here was an opportunity to make Pierce Holt feel bad. Best of all, Joe Montana was completely unpresent. Joe Montana was too good for The Feud. 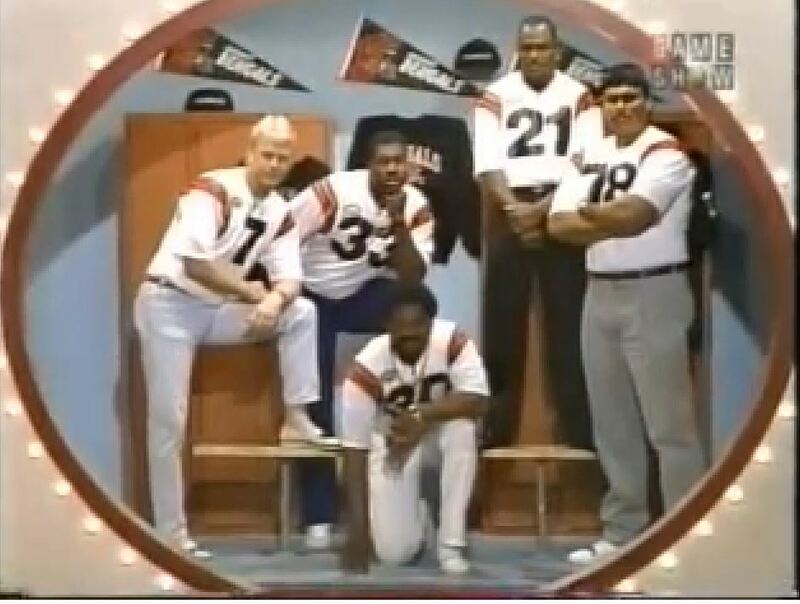 Boomer Esiason, David Fulcher, James Brooks, Anthony Munoz, and Ickey Woods played for Sam WycheÃ¢â‚¬â„¢s favorite charity, the Greater Cincinnati Coalition for the Homeless. Boomer was the head of the family and his hair is feathery and bright. Cincinnati native Ray Combs was there. We are revisiting this because seeing our city represented in broader pop culture is the concert equivalent of going Ã¢â‚¬Å“WHHHHOOOOOOOOO!Ã¢â‚¬Â when Buffett walks off the Riverbend stage at intermission announcing that he is going for some Skyline Chili. It means we are seen. It means we are experiencing reach beyond ourselves. It means that as strong as the gravitational pull of I275 is, we are not a black hole of contact regarding the outside world. 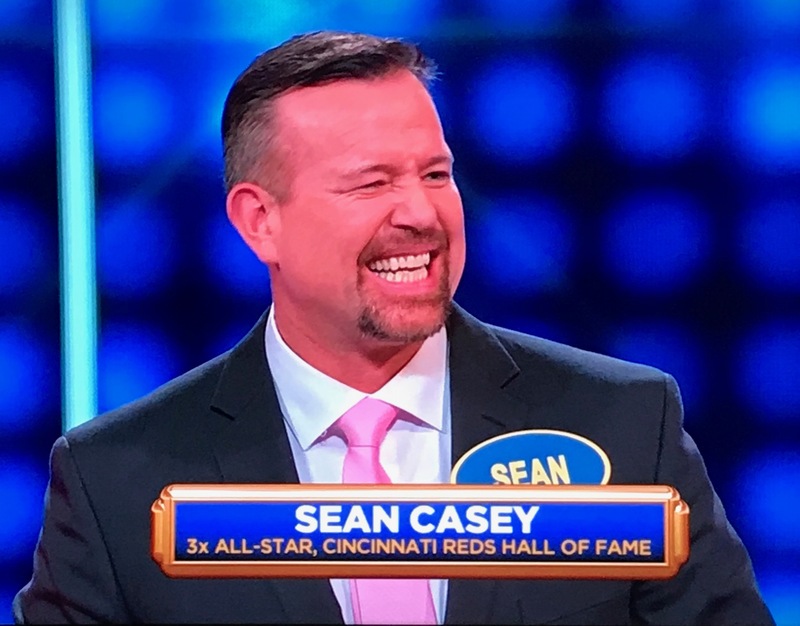 Last week, Cincinnati was once again represented before the survey board when Sean Casey and other broadcasters from the MLB Network showed up against the cast of Inside the NBA. 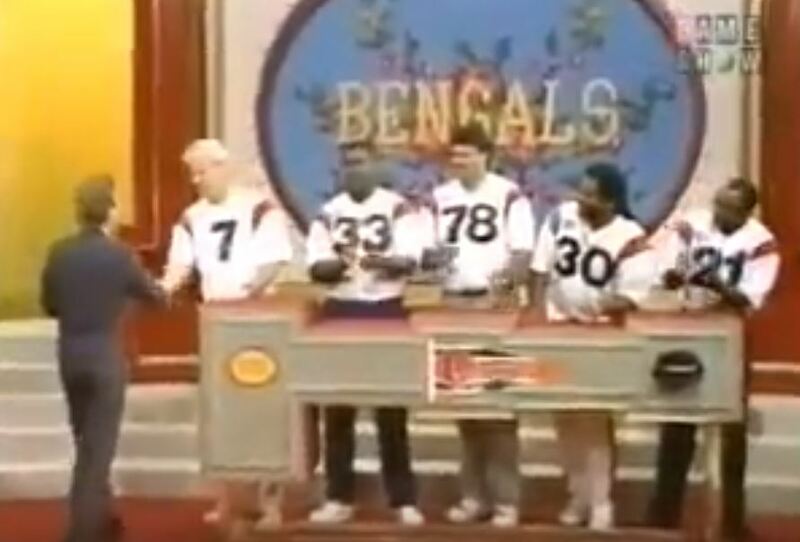 Now various Bengals have recently appeared on Family Feud since the Super Bowl rematch, but as the Bengals became dead to me during the two-minute drill of the 2016 Steelers wild card game, it doesnÃ¢â‚¬â„¢t count. They were giant air pockets in front of the microphone as far as IÃ¢â‚¬â„¢m concerned. It just never happened. Also I had this column halfway done before I thought to look up if Sean was indeed the first Cincinnatian back. This was perhaps the first time IÃ¢â‚¬â„¢ve watched Family Feud since then, and the survey answers on the board no longer flip over, and the team names arenÃ¢â‚¬â„¢t written in Ã‚Â Little House on the Prairie cross-stitch, and I donÃ¢â‚¬â„¢t know whatÃ¢â‚¬â„¢s going on with the LED Technicolor Dreamcoat studio background. This was always a game show about your family versus the worldÃ¢â‚¬â€the opposing family, the survey answers, the clock. ItÃ¢â‚¬â„¢s you and the siblings and the uncles and the cousins. The money is good but the family shoving aside the squabbles for attention or what happened eighteen years ago is better. There it Sean was, and there it was, and there we are. If you understand sports, you understand this: The players come and go. The lights flicker brighter and dimmer. 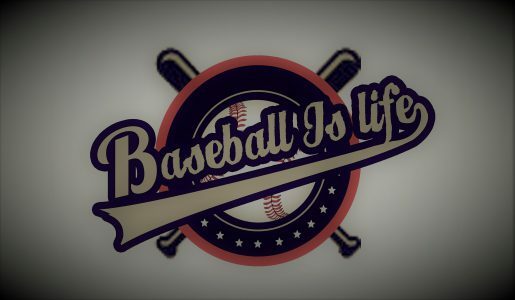 Everyone has the answer correct, or we all go down on three strikes together. ItÃ¢â‚¬â„¢s more than us. ItÃ¢â‚¬â„¢s always more than just us. 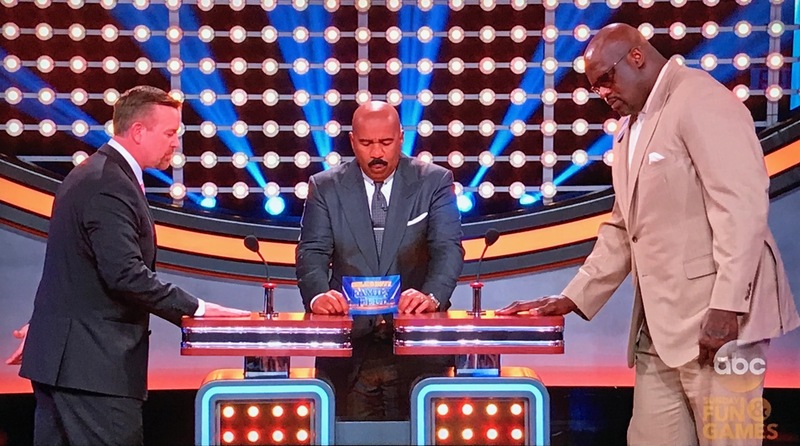 Steve Harvey does well, but Family Feud will always be Richard Dawson. We have a local cable TV station that runs alot of classic TV. So when I watch Hogans Heros occasioally, I wonder if they ever thought to have a cast reunion show feud style and have Hogans heros vs Luft Stalag 13. Ivan Dixon, Larry Hovis, LeBeau, and Helga vs Werner Klemperer, John Banner, Gen Burkhalter, and Major Hochstetter. Thanks Mary Beth for the BIL series. 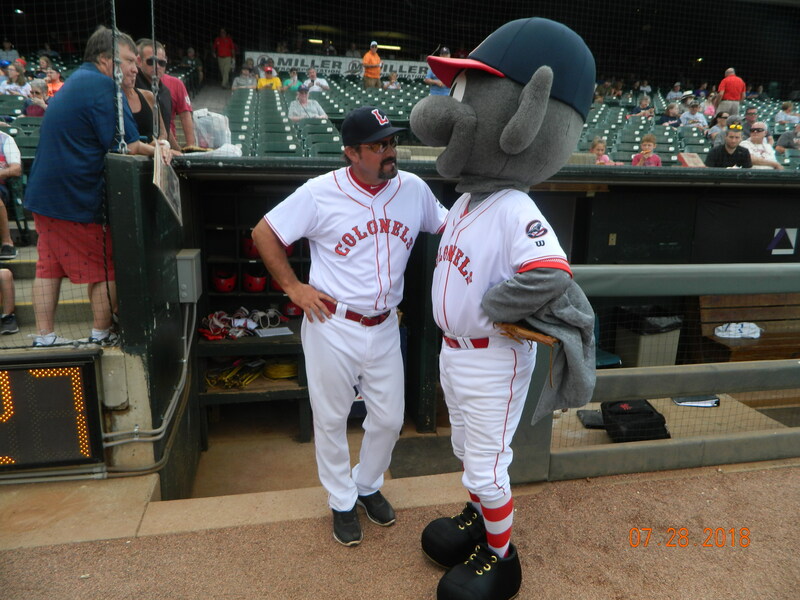 It’s always fun to read about Baseball and sports generally in the tri-states pop culture landscape. Hey, what’s wrong with grunge music??? For some of us, that’s the soundtrack of our high school/college years! Always enjoy your articles Mary Beth. A bit of fresh air in an otherwise dismal baseball season. Don’t watch many (translate any) game shows anymore but Family Feud with Richard Dawson was pretty good. Sorry I missed Sean Casey on it. He is really a great guy. Very well done … and for me, the entire NFL might as well be dead. Friends ask if I play fantasy football. I answer that I don’t have to, I’m a Dolphins fan. 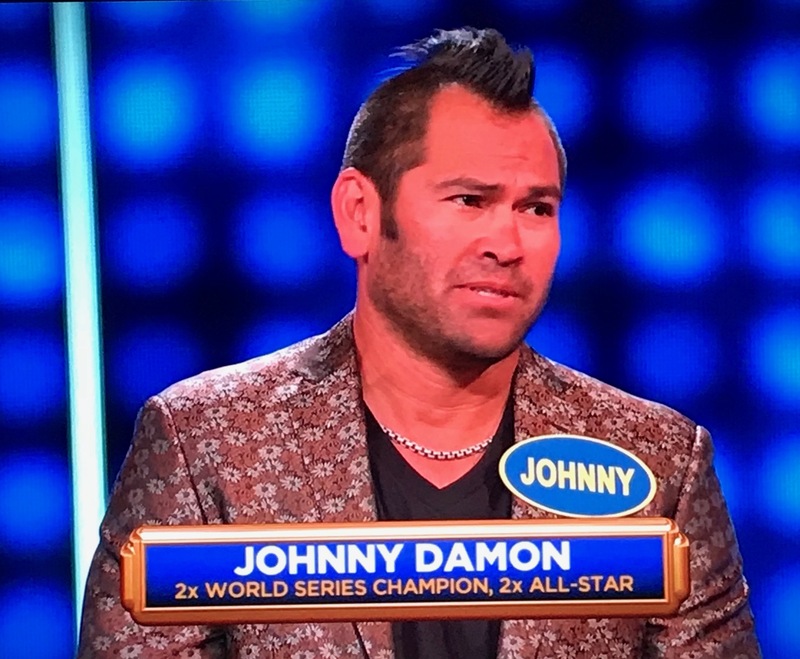 The Johnny D look is worth the read. Did he even get a question right?